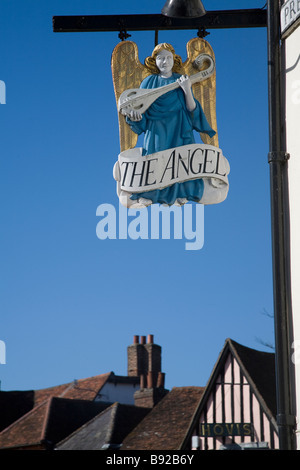 Location: Lavenham, Suffolk, England, UK. 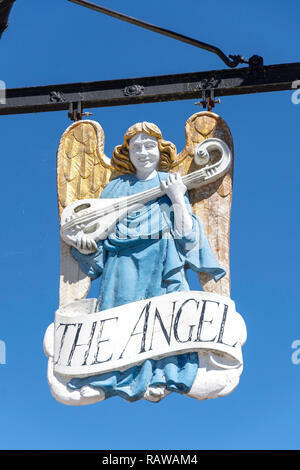 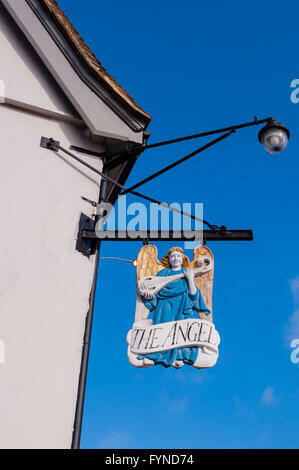 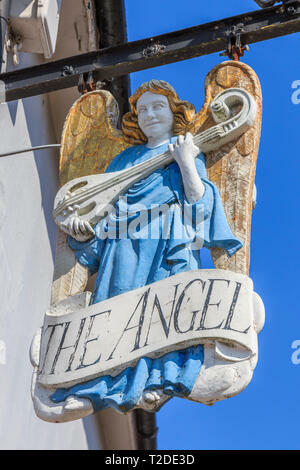 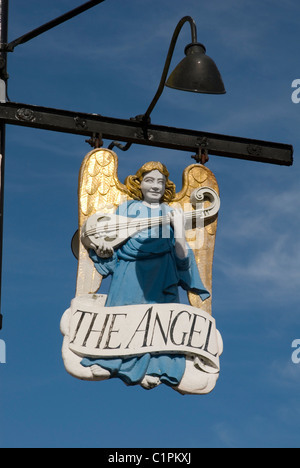 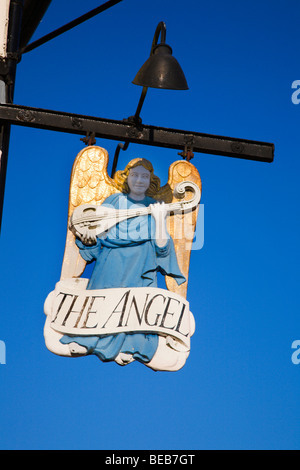 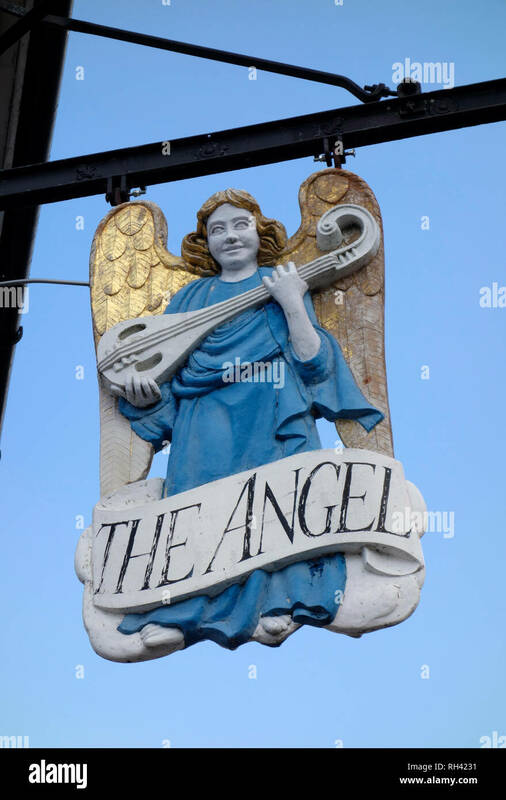 The traditional pub sign of The Angel pub, Lavenham, Suffolk, England, UK. 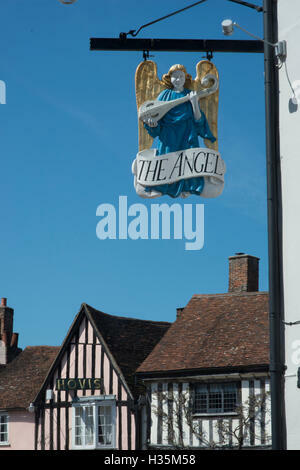 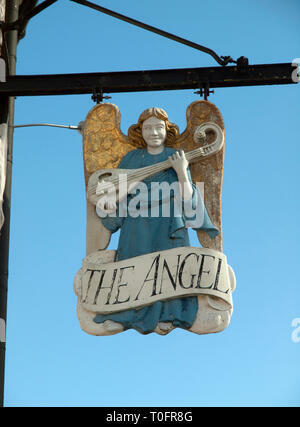 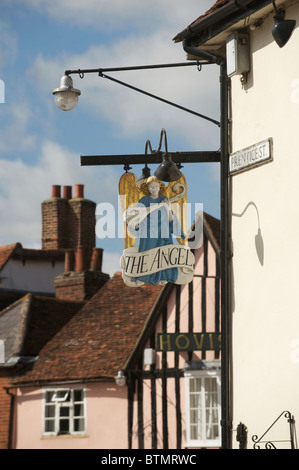 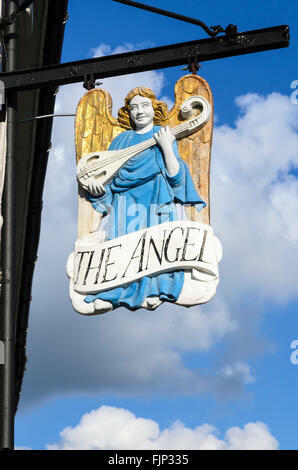 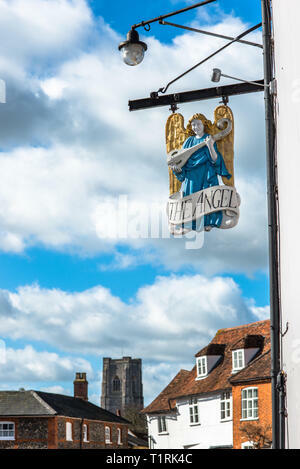 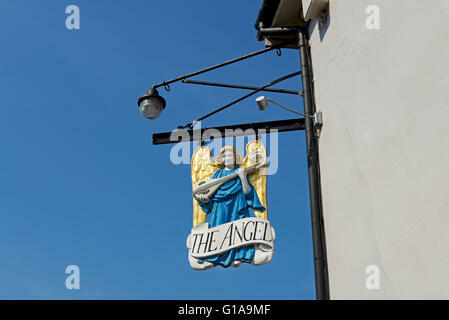 Pub sign over 15th century buildings in the town of Lavenham, once one of the wealthiest in England, Suffolk.